American physician and public health officer who was Vice-President of the Rockefeller Foundation which he first joined as a public health officer. 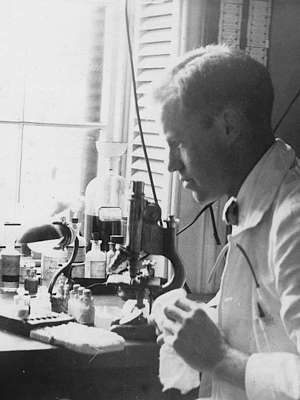 He travelled worldwide to provide the Foundation's financial support for medical research, especially in psychiatry and public health. M.D.—Make Do.— Quaint idea! … Work for the handicapped … who is handicapped, your patients, or you? Both. Helping the survival of the unfit.… With more to come. What in the world was the solution. Where to find a formula for head and heart too? Quoted in M.C. Winternitz, 'Alan Gregg, Physician', Science (20 Dec 1957), 1279. 11 Jul - short biography, births, deaths and events on date of Gregg's birth.